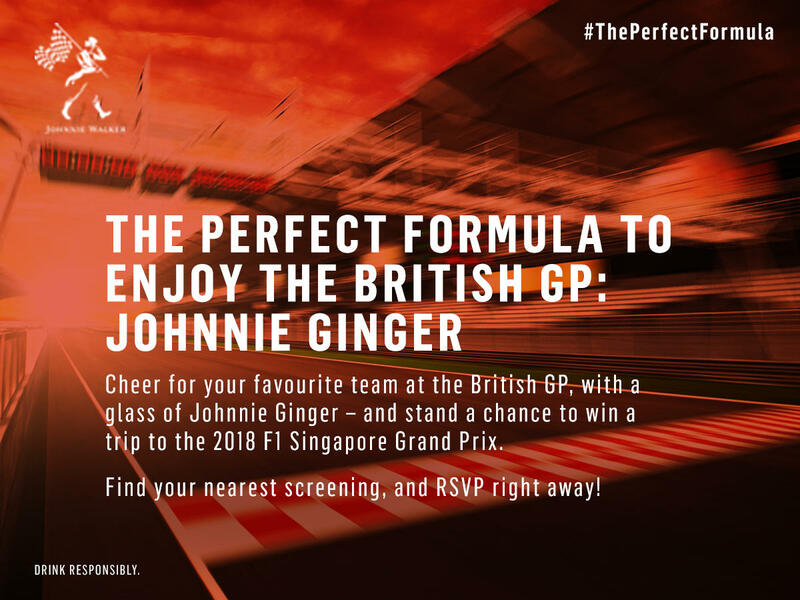 Join us at the Johnnie Walker F1 screenings in your city, and catch all the Formula 1 action with a tall glass of Johnnie Ginger! 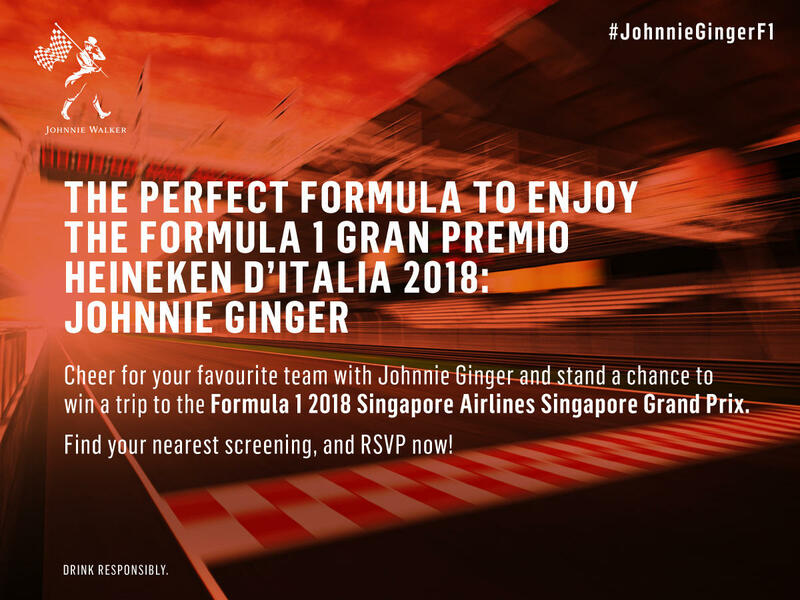 RSVP and win a chance to head to the F1 2018 Singapore Airlines Singapore Grand Prix. Schedule of events subject to change without prior notice. Guests are responsible for transportation from the airport to the hotel on travel day arrival and day 2 departure. Up to twenty-one customers are divided into three groups of seven participants each and receive direct, engaging instruction on the most efficient driving position in the cockpit, progressive accelerator and brake control, establishing precise driving lines through bends and braking and acceleration techniques. Teaching leads up to thrilling car control exercises that include conditions of power over steer. The course also provides a great opportunity for getting familiar with the actual performance of various Ferrari models thanks to a program that lets you experience different electronic vehicle control setups. The practical instruction is completed by several theory sessions aimed at giving a more in-depth insight into driving technique and helping drivers analyze vehicle behavior. A tour de force as he swept to four straight world championship crowns and countless Formula One records, Sebastian Vettel’s relentless hunger for victory, as much as his outstanding talent, secure his place as one of the sport’s greats. By his mid-20s he was already the dominant driver of his era, becoming the youngest polesitter, winner and champion in history. A second, third and fourth crown, won with either remarkable tenacity or crushing supremacy, only added to his glittering legacy. DRINK RESPONSIBLY. Alcohol will be served to consumers above the legal drinking age. The F1 Formula logo, F1, F1 Formula, FLA FORMULA ONE WORLD CHAMPIONSHIP, GRAND PRIX and related marks are trademarks of Formula One. Licensing BY: A Formula 1 Company. Rights Reserved.